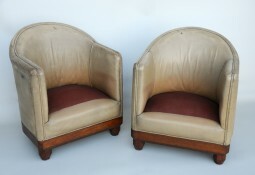 These chairs are classic Art Deco. 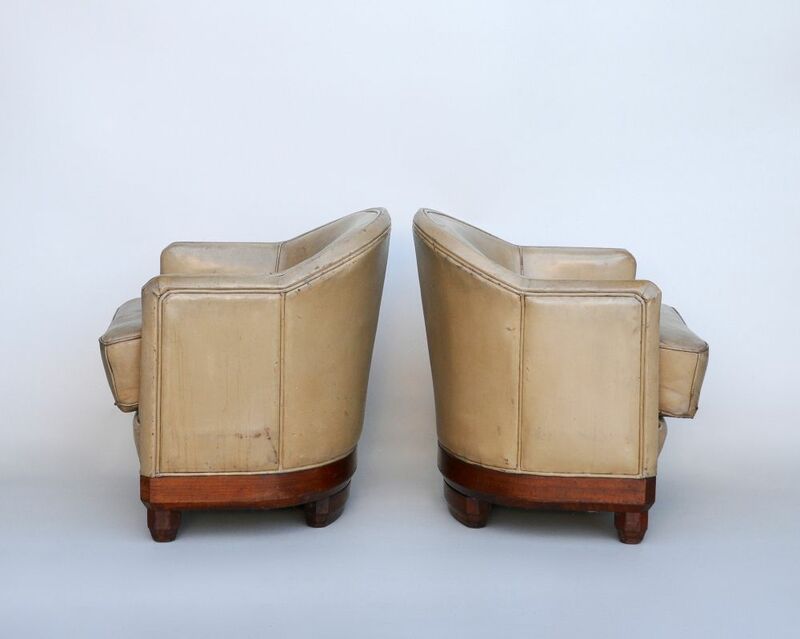 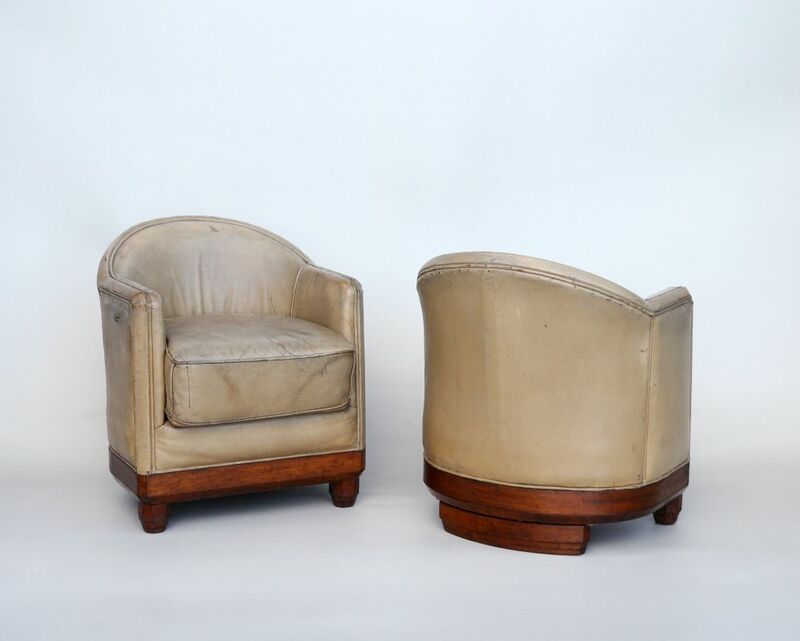 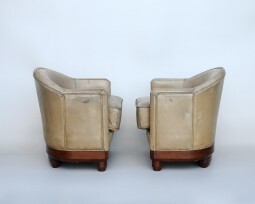 The cream colour of the leather, the tub shape with thick beading to the edges, and the shape of the faceted feet in mahogany, are all typical of the styling from this period. The tub armchairs are very economical for space, there’s no thickness to the arms or back, but still very comfortable. 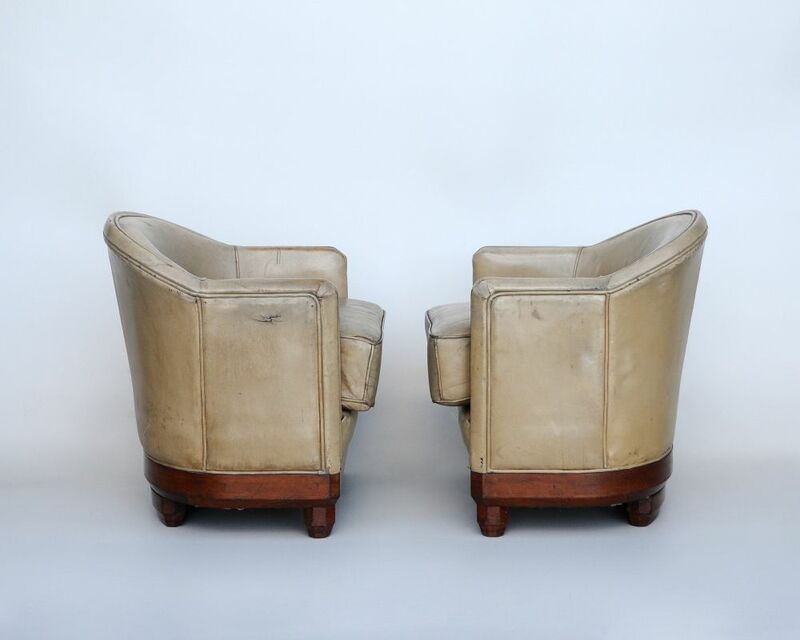 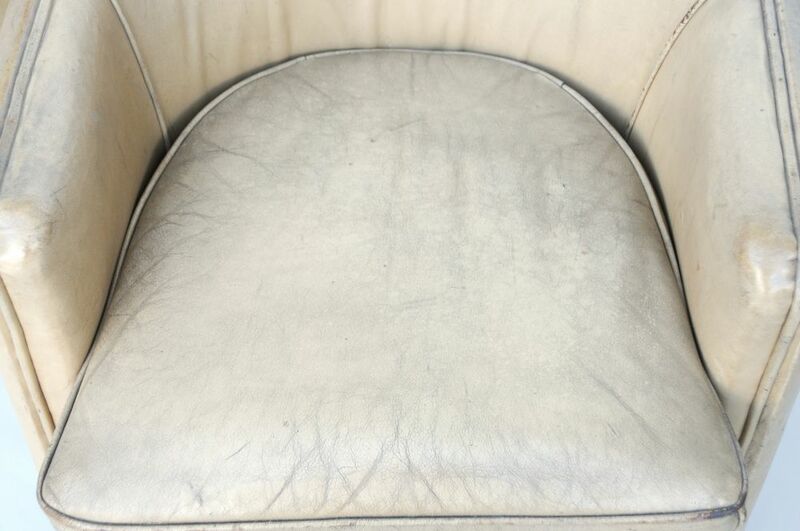 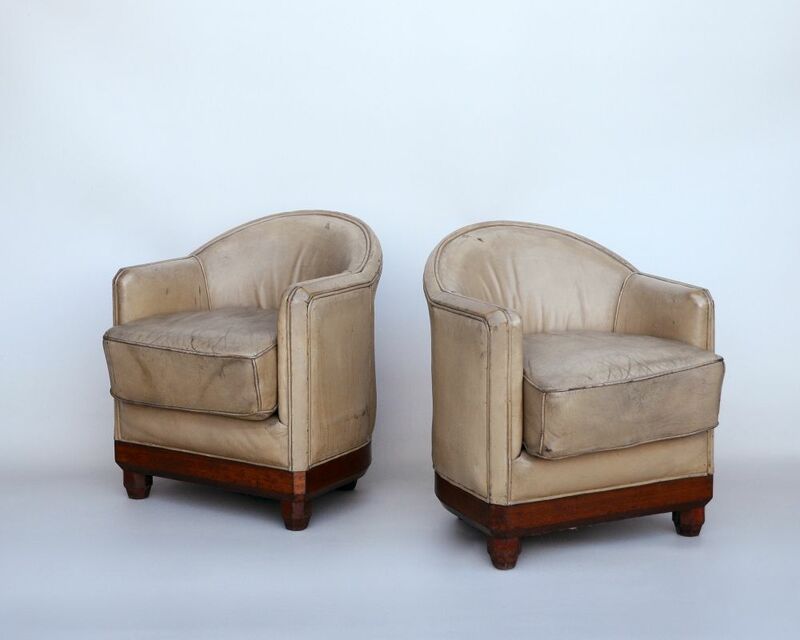 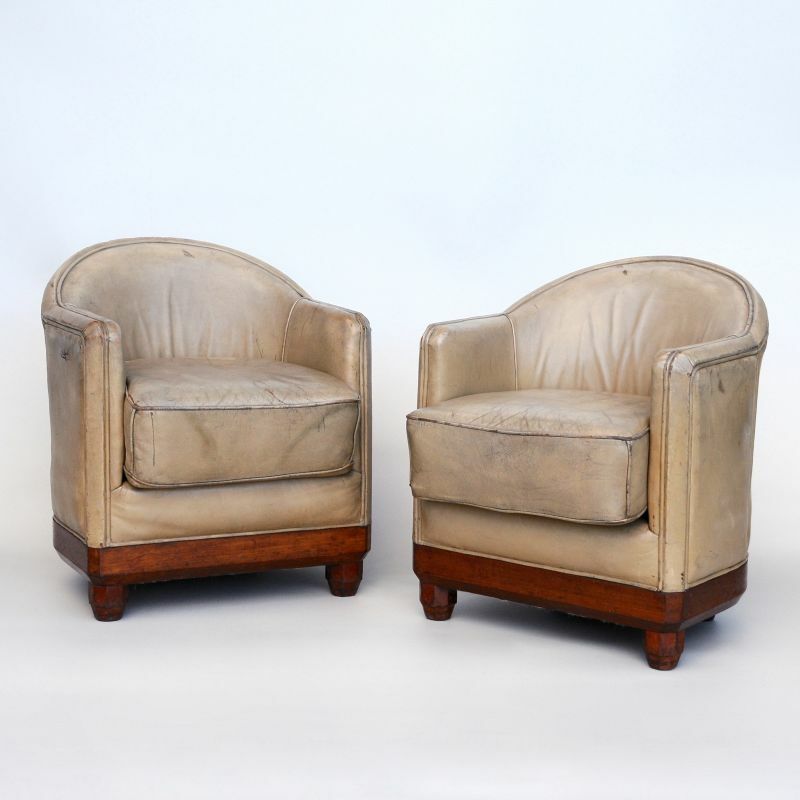 The cream coloured leather has a well used look and has developed fantastic character and patination over the years, and is in very good condition considering their age. The springs are firm with new webbing underneath. 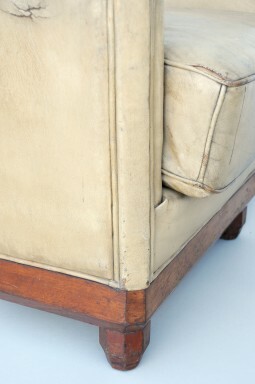 There are a few areas where the stitching is loose and the leather is stretched. Normally leather chairs from this period are in quite a state. 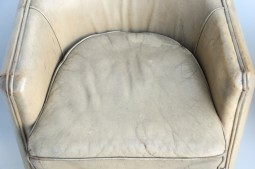 Please check the photos for condition. 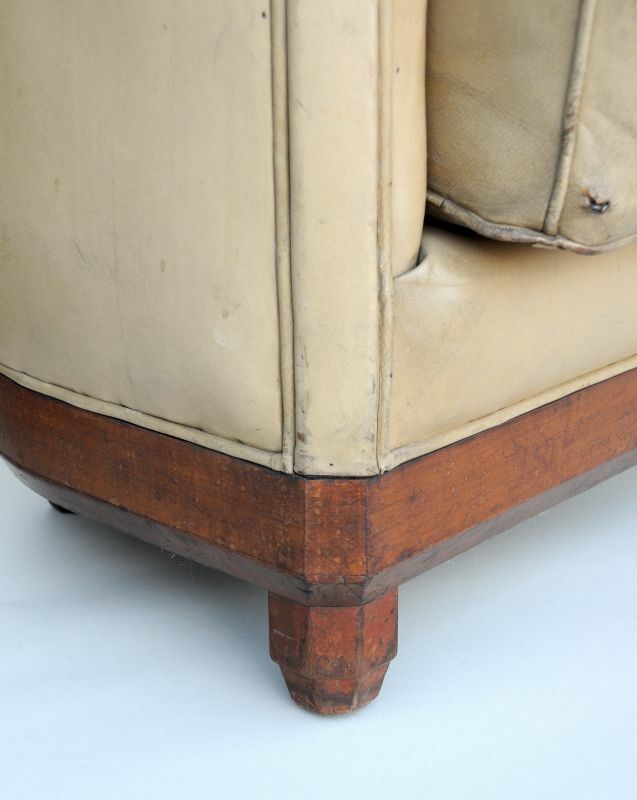 The measurements are approximately 63 cm wide, 66 cm deep and 75 cm high. 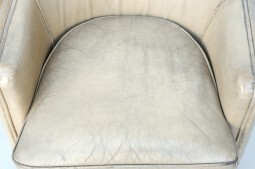 The seat is at 48 cm.